Bridesmaid There are 20 products. 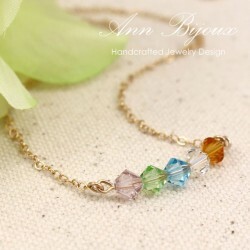 Material: Gold-Filled Flat Cable Chain, Swarovski Pearl * How to order * 1. Please select chain length & material in the drop down list.